Plastic straws are now considered an environmental nemesis, but how did we get here? 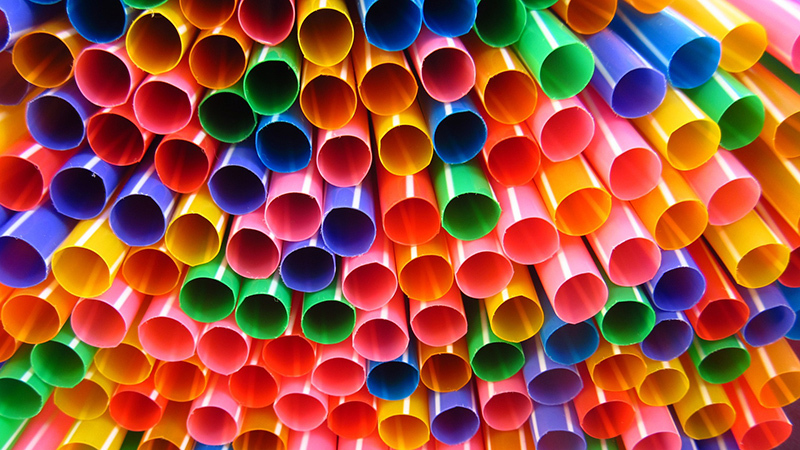 Straws are not commonly thought of as impacting the direction of society. Yet straws have been around for thousands of years, long before we began to worry about them as an environmental hazard. That status is a recent one. For thousands of years prior, straws were useful tools for avoiding solids in a drink. Though their usefulness has not changed, the way we look at them from a material standpoint has evolved. Delving back into history provides a perspective on how we may be able to change our relationship with the straw and possible clues as to what the future could hold for this useful tool. In ancient days, straws were scavenged. Workers, who were paid in beer, used reeds and any other hollow plant material they could find. This was the standard for centuries. Drinking through a plant-based straw was easy when all you had to do was go outside and pull one from the ground. There was one colossal drawback. Plant-based straws did not hold up well when immersed in liquid. After a while, they fell apart and all of that debris went right back into the drink. Unless, of of course, you had the ability to buy a better straw. Records show that 3,000 years ago there were straws made of gold and lapis lazuli, some even bejeweled. Egypt and Sumer were imbibing the earliest versions of beer - both cultures created it through circumstances of happy accident. The beers they developed would be darlings in today’s craft beer climate; unfiltered and cloudy. The straws everyone used to drink it were a necessity. It kept most of the larger grains out as they imbibed it. As drinking became more refined, pieces of grass in your drink was no longer acceptable. This is how Marvin Stone felt as he was sipping mint juleps during a warm Washington D.C. summer in the 1880s. He first went to D.C. in 1863, after being wounded at the Battle of Lookout Mountain. Moving to the nation’s capital from Ohio to become a journalist, he made a bigger mark in history by inventing a machine that would roll cigarette papers. In the 19th century, straw technology was still based on finding a hollow plant and drinking from it. Ryegrass was the most commonly used plant of the era, and it was not very sturdy. After a few sips of any drink, it began to decay. When he was relaxing with a fine mint julep, the grit of the decaying ryegrass straw was distracting. Marvin decided he was going to improve the straw. His first idea was using strips of paper, wrapped around a pencil and glued together. Ignoring the flavor that glue imparted on the cocktail, this solution also dissolved in liquid. 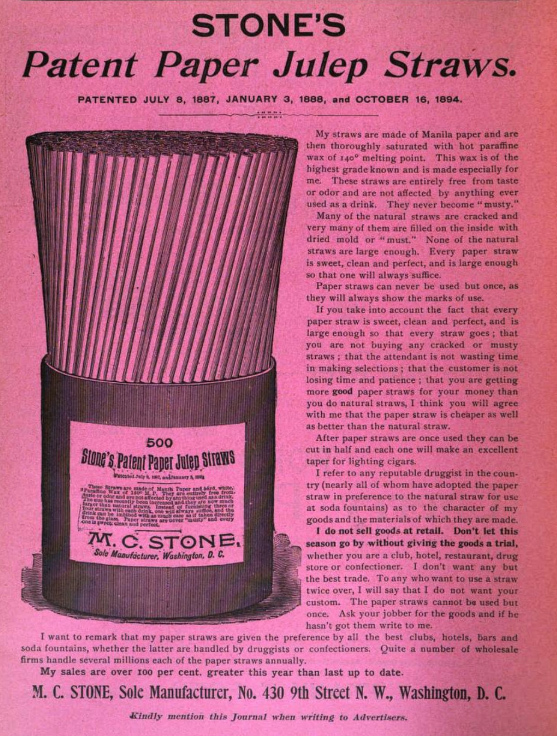 Stone eventually developed a product that this solved this issue. The straws were coated in paraffin wax to protect it from the alcohol and melting ice. He filed the patent for it in 1888. By 1889, according to The Lafayette Advertiser, he was making over two million straws a day. Stone’s paper straws were a raging success. Paper straws were found everywhere, from the bars for icy cocktails to the soda fountain. Straws were needed in this early era of drinking cocktails, so having a straw that kept the drink clean was a high demand business. Both reasons had everything to do with another cocktail staple that became popular at the time: ice. Men, with their well-groomed, well-waxed mustaches, had a fashion issue. The liquor and the water, when it came in contact with their facial hair, would melt the mustache wax into their drink. Mugs were invented that put a metal wall between the cocktail and the mustache, which helped those well-groomed men enjoy a drink. It did not solve the second reason that straws were desired, though. Dental hygiene, while improving, was not incredibly advanced. Icy cold drinks on tender teeth are a very bad combination. Straws brought the icy concoctions past the teeth and minimized any pain associated with cold liquid on a bad tooth. They were mostly paper, but some metal and glass straws were available if you were a person of means. The next major advancement in straw technology was in 1937, when the bendy straw came into being. While sitting in a soda shop, Joseph Friedman got tired of watching his young daughter wrestle with the long straw in her milkshake. It was too long for her to easily use. When Joseph went home, he started to experiment with putting a bend in a paper straw. The story goes that he put a screw in a straw and wrapped dental floss around it, making the accordion-like elbow we are familiar with today. This invention made a lasting impact on the industry. The bendy straw led to a variety of other shapes and configurations for straws, making drinking through them even more fun and convenient than it already was. Plastic straws existed in the early 20th century, but they were a novelty. Not many people were using them, since the paper ones worked just fine and plastic was expensive. The plastic straw did not catch on until after World War II, when plastic in general became a big industry. As medicine advanced, there was a greater push for cleanliness. This moved the straw industry to a disposable, single serve model for straws. This was reinforced by laws that hold the industry to that standard. It was an ill-timed confluence of events. Clear plastic straws were put into circulation, which caught the imagination of the public. This public demand, along with the falling price of plastic, made plastic straws the obvious choice for giving a thirsty public what they wanted. This is where the story of the modern straw really begins. Fast food spread across the country in the 1950s and ‘60s, bringing with it ice cold drinks and straws to sip them through. Department stores had lunch counters with thirsty diners. The swizzle stick, a big bold innovation in the tiki lounges of the 1960s, led into the stir stick, which became a common sight in the Old Fashioned and Martinis of the time. As the mid-century cocktail boom continued, piles of plastic quietly started to accumulate in garbage dumps all around the country. People were even using straws in cans and bottles, vessels that were already designed for drinking. The use of plastic straws continued, unabated, for decades. Along with the rest of our disposable plastic addiction. Straws are small things, not easily noticed. Over time, those small things started to accumulate. What once was a small problem became a major concern. The resurgence of the non-plastic straw did not occur until the new millennium, and it involved a vintage solution. In 2002, Ted Turner (of TBS fame) and George McKenna teamed up to create Ted’s Montana Grill, where their focus is creating a better restaurant for the environment. That included doing everything they could to get plastic out of their restaurants. They searched for manufacturers that made non-plastic straws, but without much luck. Finally, they discovered Paramount Tube, a company with a history of making paper straws. That history includes purchasing the original maker of the paper straw, Stone Straw Corporation. They were able to restart the dormant, forty-year-old equipment they had for making straws. The paper straw was returned to production, complete with the wax covering. It was a small step in the direction of exploring alternatives to the ubiquitous plastic straw. Since then, many more have hit the market. Like many trends in the cocktail and restaurant worlds, what was old is new again. In the last few years, almost every material conceived could be used to create straws. Most of those materials were something that was used in the past. Bamboo has come into use again as a straw - as used in bars such as Grand Republic Cocktail Club in Greenpoint, Brooklyn - though these re-usable options require extra washing after each use and customers, apparently lacking proper bar etiquette, sometimes steal them from the bar. Other hollow plant stalks have also been experimented with at certain venues. 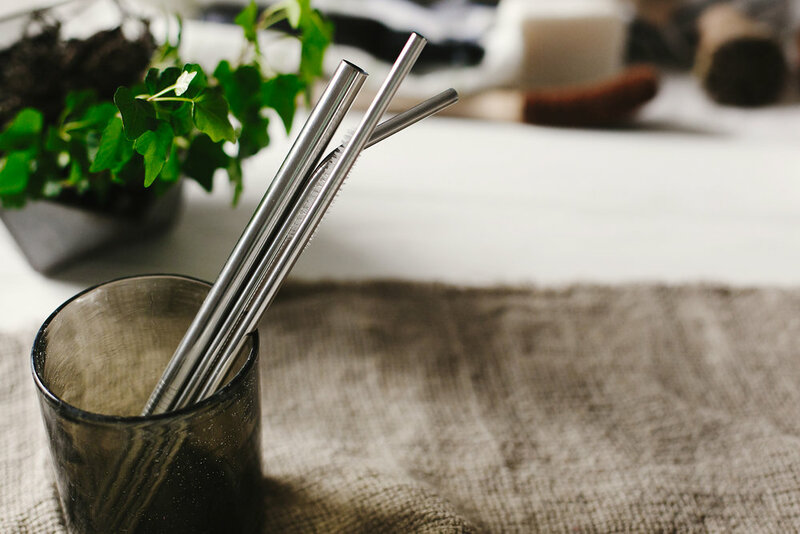 For something more durable and reusable, there are always glass and metals straws you can bring with you. They have the benefits of being reusable without generating any waste, and can be recycled at the end of their life. There is even a bendable metal straw at The Last Straw that is incredibly flexible. The whole thing bends! Paper straws are also becoming easier to find, with more and more companies offering this traditional alternative. There is even a company selling straws that are compostable for restaurants in bulk. This material shift of straws, and a 2015 video that showed a long plastic straw being removed from a turtle’s nose, turned the public against the plastic straw. While it was the visible toll that straws took on the environment that caught the imagination, there are other reasons that this was the straw that broke the planet’s back: The type of plastic we currently use for commercial straws, polypropylene, does not degrade well. Even when they are no longer fully visible, traces are left in the environment. They are small enough they can be eaten by a variety of animals, adding plastic to the food chain, and they tend to float. Because they are so small, they are difficult to get out once they are in. This is a steep price to pay for a single use item that could be on the earth for the next two centuries or more. Looking at the number of straws that go into the environment from one country every day is staggering. 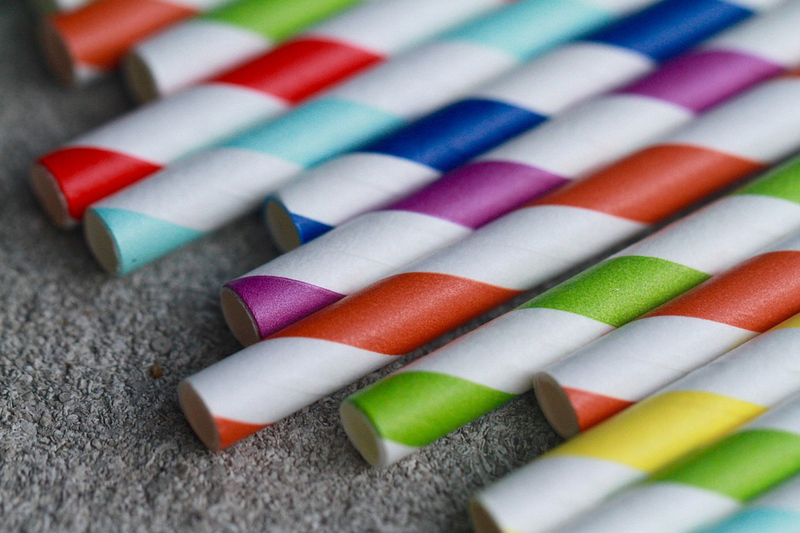 There is one popular estimate that puts that number at 500 million straws per day from the United States alone. However, a deeper look at that number brings up some interesting questions. That number does not come from a scientific study; it was generated by an estimate made by nine-year-old Milo Cress who interviewed straw companies. According to research, he is the only source of that number. It has made its way to reputable sites like the National Park Service and Eco-Cycle. There is no other evidence to back it up. More recent scientific studies have put the number closer to 172 million straws a day, still a considerable amount. In the larger scheme of what needs to be fought for the environment, straws are a small percentage (about 4%) of the total plastic waste. It was among the top 10 most found items when one group did a trash pick-up in 2017, hitting seventh on the list. Unfortunately, the other most commonly found items were larger in size and very common in the restaurant industry. Straws are part of the equation, but not the largest variable. There is one community hit particularly hard by the removal of plastic straws: the disabled community. One of the reasons straws are such a common pollutant is that they are cheap and easy to obtain. Banning plastic straws complicates their ability to get an easily usable straw. Disabilities that require a straw come in all forms - from aspiration if a straw is not used to drink, to those too weak or too limited in movement to drink in the right position for the liquid to go down properly. Those with more severe disabilities require more preparations to go into a world not fully built for them. Bringing your own straws requires washing and sterilization, adding more time and complications to their day. Other types of straws have their own unique challenges: Paper straws do not hold up well in hot liquids and can be a challenge to use. Other materials that are plant-based or chitin (shellfish) based can trigger certain allergens. And all of the solutions have an increased cost. There is going to be a battle for the future of straws. The broad bans that some cities have enacted are going to be fought in the media and possibly in the courts. Some states and cities are feeling resistance to general straw bans, receiving pressure from advocates for the disabled, environmental groups, and restaurant groups. In other areas, restaurants and cities are rushing to get them banned, advocating that it is a part they can play in the war on the flow of plastic into the ocean. Social pressures are going to have an impact on how the straw is perceived, and possibly how it is available. From helping people drink their beer to clogging the ocean, the straw’s impact on culture has been remarkable. The humble straw has recently become a flashpoint for how we deal with plastics on our planet. This is a new point in history for the straw, and one that can define how we handle disposables in the future.